The prominence it has gained in the last few months stands strongly supported given the statistics of mental health related problems in our country. A brief glance at these numbers can make any Indian shudder, particularly the staggering deficit in the availability of services as against the number of people requiring them. Importance of estimates of mental health related problems place their prevalence rates at 5 percent of the population, which amounts to roughly 50 million individuals in our country. Mental health contributes to 11.6 percent of the global burden of disease and the fact is that only 14.52 percent of those afflicted receive treatment which approximates to 7.26 million. Despite this there is a 300 percent shortage of experts in India. 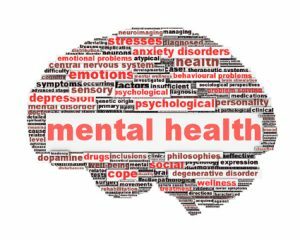 Need for Comprehensive Mental Health Services in India: There is substantial evidence that attests to the significant importance of providing comprehensive mental health services with easy accessibility for people to ensure the continued health, productivity and overall well-being of individuals. For individuals with severe mental health related problems there is a need for frequent visits to mental health professionals and hospitalization as well. Sometimes severe cases of mental health can even result in homelessness and entanglement with the criminal justice systems. We also see premature deaths and suicides associated with severe mental health problems, particularly when they go untreated or when timely treatment is not made available. It is rather apparent that mental health related illnesses cast a significant negative influence upon the individual and the family’s economic and financial condition. Lack of adequate services and infrastructural facilities undoubtedly lead to worsened conditions and adverse consequences that cost the state significantly. This makes it imperative that there be active planning and policy development around this gargantuan problem. The Mental Health Care Bill, 2013: The Mental Health Care Bill, 2013 which was passed by the Rajya Sabha in 2016 seeks to replace the Mental Health Act of 1987. The updation and upgradation of the Bill was a necessity given the backdrop of the deficits highlighted above. No legislation or policy comes with positives or negatives alone and there is usually a robust mix of both aspects. The current amendment to the Bill if it gets passed in the Lok Sabha would certainly bring forth some direly needed changes to the existing policy. It does overlook some significant aspects, however, to move forward as a nation on this critical issue of mental healthcare provision for the public, these amendments too are important. -Redefining Mental Ill-health – A big step forward is the broadening of the definition of what mental ill health is. From its earlier narrow conceptualization, mental ill health is now defined as a substantial disorder of thinking, mood, perception, orientation or memory that grossly impairs judgment, behavior, capacity to recognize reality or ability to meet the ordinary demands of life, mental conditions associated with the abuse of alcohol or drugs but does not include mental retardation which is a condition of arrested or incomplete development of mind of a person, specially characterized by sub normality of intelligence. This broader definition has brought under the purview of mental health, the various aspects of disordered cognitive, emotional or behavioral functioning which impact the individual’s ability to perform his primary functions. -Decriminalization of suicide – Perhaps the most talked about aspect of the current Bill has been the decriminalization of suicide which is a punishable offence under current conceptualizations. This recognition of suicide as a mental health related issue would allow for greater dialogue around this problem which has been frequently dismissed and relegated to the background, hidden and cast aside. Greater empathy around what can lead an individual to consider harming their own self will enable the development of methodologies and programs to prevent it in the future. -Provision for advance directives by a patient – This aspect allows for an affected individual to provide directives pertaining to his treatment in advance as well as the determination of a representative to ensure that the directives are followed. This gives greater autonomy to the patient as well as takes away from the traditional conceptualization of mentally ill individuals as unable to take any decisions or make choices. -Insurance in Mental Health: Another significant shift which the Bill proposes is the entry of insurance in the mental health sector. Thus far mental health has not had any insurance associated with it. However, the chronicity and long term duration of a large proportion of mental health related problems increase the burden of cost. The provision of insurance would help ease the burden of cost for a large proportion of the population and take away the challenge that a lot of families face in taking care of their loved ones. -Removal of psychosurgery and ban on electro-convulsive therapy for children: These procedures have been prohibited under the new Bill which allows for psychosurgery only when it is approved by the district medical board and ECT for adults is allowed only with proper care provision. Criminalization of inhuman treatment of the mentally ill: Another significant aspect of the Bill is that it recognizes inhuman, merciless and callous treatment of the mentally ill as a crime. Since decades, treatment of the mentally ill in India has been perceived and associated with confinement, isolation and in most cases, ill-treatment. indeed a great step..in history of mental health services in India….